Office Hours: T Th 12:30-2 & by appt. Eighteenth-century literature and culture; digital humanities; the British novel; book history; textual studies; Jane Austen; early fiction by women. Janine Barchas (Stanford B.A. and Chicago Ph.D.) joined the University of Texas at Austin in 2002, after teaching at the University of Auckland in New Zealand for five years. Professor Barchas combines book history with literary criticism in both her research and teaching. She has twice been a fellow of the American Council of Learned Societies and has received the Alpha of Texas Award for Distinction in Teaching from the Phi Beta Kappa Society. Her first book, Graphic Design, Print Culture, and the Eighteenth-Century Novel (Cambridge UP, 2003), won the SHARP prize for best work in the field of book history. This was followed by Matters of Fact in Jane Austen: History, Location, and Celebrity (Johns Hopkins UP, 2012). In addition, Barchas has published academic articles in journals such as ELH, Review of English Studies, Eighteenth-Century Life, Eighteenth-Century Fiction, Nineteenth-Century Literature, Persuasions, and Modern Philology. She also writes pieces for the popular press, including essays in the New York Times, Washington Post, and Los Angeles Review of Books. 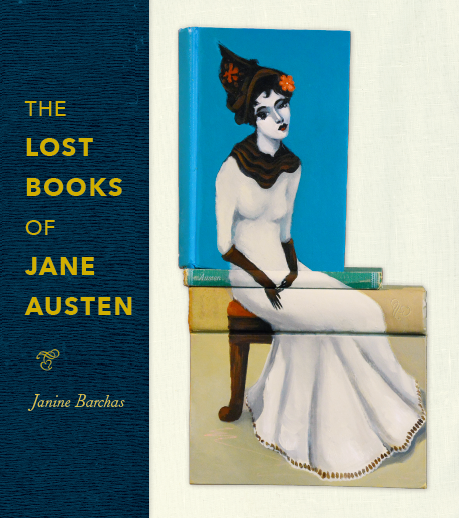 Professor Barchas' latest book project is The Lost Books of Jane Austen, forthcoming from Johns Hopkins University Press in October 2019. It is an investigation into the early reception history of Jane Austen through the lens of her cheapest and most neglected reprintings. Years of book hunting revealed unknown versions of Austen's novels that never made it into academic libraries or official bibliographical records due to their intolerable cheapness. Starting with shilling versions sold at Victorian train stations and book stalls during the 1840s, Barchas democratizes Austen's reception with new data about unrecorded books targeted to working-class readers. She describes her project as "hard-core bibliography meets the Antiques Roadshow." She published short previews of that research in essays for the New York Times and the Los Angeles Review of Books. She is also the creator behind “What Jane Saw.” This website (www.whatjanesaw.org) offers digital reconstructions of two museum blockbusters attended by Jane Austen: the Boydell Shakespeare Gallery in 1796 and the Sir Joshua Reynolds retrospective in 1813. The initial phase of “What Jane Saw” launched on 24 May 2013, or 200 years to the day that the Austens attended the Reynolds show. The second phase of the website launched in 2015, on 16 December, Austen's birthday. If you would like to “hear” Professor Barchas talk about this project, the Folger Shakespeare Library hosts a 30-min interview with her in the form of a podcast called Recreating the Boydell Gallery. In 2016, Barchas co-curated an exhibition entitled "Will & Jane: Shakespeare, Austen, and the Cult of Celebrity" at the Folger Shakespeare Library in Washington DC. Co-curated with Kristina Straub (Carnegie Mellon Univ), this museum exhibition tracked the parallel afterlives of arguably the two most popular authors in the English language, asking how exactly they became celebrated as literary superheroes. You can "see" Barchas and Straub talk about "Will & Jane" and catch a glimpse of their exhibition in a 5-min short on YouTube made by the department. The New York Times praised their exhibition for mixing "deep scholarship with serious whimsy." This is a writing-intensive, historical, survey course that tracks the early development of the eighteenth-century British novel as an emerging literary genre. It also provides some basic cultural context about related developments in literacy, print culture, garden history, art, and architecture over the “long” eighteenth century – from 1688 to 1818. The primary emphasis in this class will be on the study of these seven novels, which we read in order of publication, in their original historical and cultural context. Aphra Behn, Oroonoko (Norton Edition); Eliza Haywood, Love in Excess (Broadview Press); Daniel Defoe, Moll Flanders (Oxford Univ Press); Samuel Richardson, Pamela (Oxford Univ Press); Frances Burney, Evelina (Oxford Univ Press); Jane Austen, Mansfield Park (Norton); Mary Shelley, Frankenstein (Oxford Univ Press). Original publication dates listed parenthetically below; we are reading these novels in temporal sequence. Required editions (publishers are listed parenthetically above) can be purchased at the Co-Op Bookstore. Four short essays (15% each = 60%); In-class test (30%); Quizzes/attendance (10%). Description: The generic label “novel” did not come into general use until the 1780s. Yet long before then writers and readers acknowledged that a “new species of writing” was rapidly transforming the literary scene (even if they couldn’t agree on what to call it). “Novel” is ultimately an apt name for a genre that experimented broadly (and, broadly, every publication was an experiment during these formative years) with both narrative content and printed self-presentation. This class explores the emergence of the British novel over the course of “the long eighteenth century,” from 1688 to 1816. Although this class includes study of a pivotal work by Defoe and consideration of the famous Fielding and Richardson rivalry, it dedicates the bulk of its attention to important fictions by early women writers. It is not coincidental that the rise of the novel coincides with the rise of the professional woman writer (and a sharp increase in female literacy); the novel’s fate would be in large part determined by the female pen. Lectures will provide a historical and visual context for these texts’ overlapping preoccupations with issues as varied as art, colonialism, landscape, economics, theatre, urbanization, and print culture. Texts: Aphra Behn, Oroonoko(Norton); Eliza Haywood, Love in Excess(Broadview Press); Daniel Defoe, Moll Flanders(Norton); Samuel Richardson, Pamela(OUP); Frances Burney, Evelina(OUP); Jane Austen, Mansfield Park(Norton); Mary Shelley, Frankenstein(OUP). Original publication dates listed in the syllabus; we are reading these novels in temporal sequence. Requirements & Grading: Four 4-page papers, 15% each; Final exam, 30%; Attendance/Participation/Quiz, 10%. This course is designed for students prepared to revise a seminar paper, Master's report, professional conference paper, or dissertation chapter into a publishable article that they will submit to a peer-reviewed academic journal in Summer 2018. We will demystify the editorial process of academic journals and decode the specialized conventions of the article genre, focusing specifically on the methodological, argumentative, and stylistic moves that successful authors make. Students will develop strategies of "radical revision" to turn their polished essay, report, paper, or chapter into a finely wrought article that makes an identifiable contribution to its field/s. The course will begin with the reading and discussing of materials concerned with the process of turning essays into articles and with students identifying appropriate journals for their essays. Next, students will consult with the professors and work closely in small rotating writing groups as they revise their essays. Admission to the course is by Graduate Adviser approval. This course has a number of aims: to introduce you to the revision and editorial processes; to familiarize you with the journal article genre and publication venues; to make you more comfortable asking for and responding to writing feedback; and to help you land that valuable first publication. Our goal is for you to establish a productive writing process, learn and make discoveries, and produce the best work possible. Description: This course takes a close look at the emergence of modern celebrity culture through the lens of the literary afterlives of arguably the two most famous authors in English: William Shakespeare (1564-1616) and Jane Austen (1775-1817). Because the year 2017 marks the bicentenary of the death of Jane Austen, just as 2016 was the 400th anniversary of Shakespeare’s death, this class will engage with how we are living through a unique historical moment. However, rather than compare these two authors unequally (at 200 and 400 now), we will look at them during their respective bicentenaries, asking how the Cult of Jane today might resemble the first wave of idolatry of the Bard (“Bardolatry”) witnessed, scholars agree, in the eighteenth century. For both these authors, adaptations, modernization, and parodies at roughly the 200th anniversaries of their respective afterlives, helped popularize their work (e.g. Boydell’s public spectacle of the Shakespeare Gallery in the 1790s resembles the BBC bonnet dramas of the 1990s that propelled the popularity of Austen). From portraits to porcelain collectibles, branded merchandise to fan fictions, these two authors have traced intriguingly similar arcs in their posthumous fame. In addition, Jane Austen, who was born in 1775, experienced Shakespeare’s early rise to celebrity status first-hand. She read and admired his work, referenced him throughout her fictions, and saw his plays performed on London’s stage. In her novel Mansfield Park (1814), Austen’s characters “all talk Shakespeare” while rehearsing amateur theatricals—with three characters, Yates and the Crawfords, intentionally sharing surnames with famous Shakespearean actors. In fact, recent research has shown that Austen was a consummate namedropper in her choice of names for her fictional characters and settings. The class can thus examine Austen from both sides: as a participant in and a witness to early celebrity culture in the Georgian period, and as a product of modern fan culture today. In the wake of the recent “Will & Jane” exhibition (co-curated by Prof Barchas and Kristina Straub) at the Folger Shakespeare Library in 2016, this class will use a contemporary public exhibition as a case study and model for their own inquiries into literary brand-building (i.e. how the celebrity of authors is made and managed). Texts: Literary readings will start by pairing a few Shakespeare plays with the Austen novels that reference them: Shakespeare’s Hamlet with Austen’s Sense and Sensibility; Much Ado About Nothing with Pride and Prejudice; and A Midsummer Night’s Dream with Emma. Critical readings about the emergence of celebrity culture will then include selections from Joseph Roach’s book It (2007) and Barchas’ own Matters of Fact in Jane Austen: History, Location, and Celebrity (2012), complemented by material from and about the recent “Will & Jane” exhibition (2016). Next, we will also pair modern film adaptations, such as Ten Things I Hate About You with Clueless, which both reset Will and Jane in modern American high schools to ask about the impulse to modernize authors. And we will watch celebrity actors “ghost” Will and/or Jane roles, such as when Laurence Olivier, who played Mr. Darcy to great acclaim in Pride and Prejudice in 1940, assumed the title role in Hamlet in 1948. We will also contrast a few popular continuations from both authors in fan fictions, such as when both Tom Stoppard’s Rosencrantz and Guildenstern Are Dead (1966) and Jo Baker’s novel Longbourn (2014) pluck servant characters from the wings of original stories by Shakespeare and Austen to give them literary lives of their own. Requirements & Grading: Two short (3-pp each) analytical essays about a literary or historical document from the eighteenth century (newspaper, essay, story, obituary, letter, or diplomatic dispatch) involving a “celebrity.” One longer (10 pp) research paper about the portraiture and/or representation of a famous writer who is not Shakespeare or Austen. Less-substantial, though still significant writing, will include three one-page "position" papers on selected historical figures or modern representations of them, particularly the rhetorical strategies used to advance their own celebrity or their perceived significance by others. Much of the writing will be evaluated by peers. Grading: 2 short essays: 15% each. Long essay, draft: 10%; final draft, 30%. Position papers: 15%. Class participation, in-class work, and helpfulness in peer evaluation will complete the percentile tally (15%). Texts: Aphra Behn, Oroonoko (Norton); Eliza Haywood, Love in Excess (Broadview Press); Daniel Defoe, Moll Flanders (Norton); Samuel Richardson, Pamela (OUP); Frances Burney, Evelina (OUP); Jane Austen, Mansfield Park (Norton); Mary Shelley, Frankenstein (OUP). Description: This interdisciplinary single-author course is devoted to the six major novels of Jane Austen. The primary emphasis in this class will be on the study of Austen in her original historical context. The class will also ask how Austen fits into the development of the modern novel genre as well as how her stories touch upon issues of gender, economics, art, and politics. Central to this class will be a website, supported by LAITS, called “What Jane Saw.” The “What Jane Saw” e-gallery (www.whatjanesaw.org ) reconstructs two art exhibitions attended by Austen, in 1796 and 1813. The class will use this website as a starting point for questions about customs, politics, theater, and celebrity culture during the Georgian era. In addition to reconstructing the cultural context of Austen’s fictions, we will consider a few recent re-workings of the novels, including radical “adaptations” such as Clueless and The Lizzie Bennet Diaries, which recast Emma and Pride and Prejudice in a modern mold. By way of these slightly irreverent modernizations, we will find ourselves asking why a novelist who writes about life as it was lived 200 years ago has won so much acclaim at the turn of the 21st century. Texts: Jane Austen: Sense and Sensibility (1811); Pride and Prejudice (1813); Mansfield Park (1814); Emma (1815); Northanger Abbey (1817); Persuasion (1817). Requirements & Grading: Three written reports that offer contextual histories for Austen’s novels (15% each = 45%); Final exam (30%); Quizzes (10%); Group presentation (15%). Description: This interdisciplinary single-author course is devoted to the six major novels of Jane Austen. The primary emphasis in this class will be on the study of Austen in her historical context. The class will ask how Austen fits into the development of the modern novel genre as well as how her stories touch upon issues of gender, economics, art, and the politics of her time. Central to this class will be a brand new website, hosted by LAITS, called “What Jane Saw.” The “What Jane Saw” website reconstructs a museum exhibit that Austen attended in 1813. This important museum exhibit showcased over 100 portraits of celebrities by Sir Joshua Reynolds. Lectures will use this website as a focal point from which students will pursue questions about customs, politics, and celebrity culture during the Georgian era. In addition to reconstructing the cultural context of Austen’s fictions, we will consider a few recent re-workings of the novels, including radical “adaptations” such as Clueless and The Lizzie Bennet Diaries, which recast Emma and Pride and Prejudice into a modern mold. By way of these slightly irreverent modernizations, we will find ourselves asking why a novelist who was for quite some time considered a parochial 18th-century throwback has won so much acclaim at the turn of the 21st century. Description: This course introduces students to the toolkit of book history by tracking the evolution of the modern paperback, using author case studies. This survey will start with the so-called “yellowbacks” sold in Victorian railway stations starting in the 1850s and proceed through to today’s paperbacks as they compete with e-books. We shall linger on the marketing hotspots and explosions of cheap books in 1890s, 1940s, and 1960s. Book covers, the canvas upon which the bulk of book marketing occurs, will be a strong bibliographical focus. The class will make occasional use of the Wolff collection of Victorian binding styles in the HRC (one of the top such collections in the world). The class will introduce students to some basic bibliography and book-history terminology, starting with a central case study, namely the marketing of Jane Austen’s novels from 1833 to now. It will then ask every student to pick another major author initially published before 1850, whose work was subsequently reissued in paperback form across the entire historical span of this course. Our research and readings will allow us to identify which marketing techniques are specific to an author and which are generic to the evolution of the modern book. Required Readings: Jane Austen, Pride and Prejudice (1813) or Emma (1815) and two further fictions (determined by student interest and choice of case studies) • Phil Baines, Penguin by Design: a Cover Story 1935-2005 (Alen Lane, 2007) • John Carter and Nicolas Barker, ABC for Book Collectors, 8th ed. (Delaware, 2004). --Gerard Genette, Paratexts: The Thresholds of Interpretation (1987); English translation by Jane E. Lewin (Cambridge, 1997). --The Cambridge History of the Book in Britain, 4 vols. (Cambridge, 1998). --Philip Gaskell, A New Introduction to Bibliography (Oxford, 1972); corrected rpt. 1974, paperback rpt. Oak Knoll, 1995. Requirements & Grading: 3 essays and an annotated bibliography (3 short essays of 4 pp each and a rewrite) 60%; In-class conference-style presentations, 25%; Participation, including effort on peer reviews 15%. Texts: Aphra Behn, Oroonoko (Norton); Eliza Haywood, Love in Excess (Broadview Press); Daniel Defoe, Moll Flanders (Oxford Univ Press); Samuel Richardson, Pamela (OUP); Charlotte Lennox, Female Quixote (OUP or Norton); Frances Burney, Evelina (OUP); Jane Austen, Mansfield Park (Norton); Mary Shelley, Frankenstein (OUP). Original publication dates listed in the syllabus; we are reading these novels in temporal sequence. Description: While living at Wadham College in Oxford, this class reads four novels by Jane Austen in the context of the real-life locations that served as settings for her stories and her life. We will read Sense and Sensibility (1811). Pride and Prejudice (1813), Persuasion (1818), and Northanger Abbey (1818) and visit country estates and towns featured in these fictions. Like the heroine Elizabeth in Pride and Prejudice, we will tour rich country estates and extant eighteenth-century gardens, particularly those of Blenheim, West Wycombe, and Prior Park. We will explore the city of Bath, where Austen and her family lived for many years and which features in Northanger Abbey. We will also travel through the Hampshire countryside, where Austen lived much of her life, in order to visit the village of Chawton, where her former home is now a museum, and the Winchester Cathedral, where Austen lies buried. We will end the term with Persuasion, a novel that provides us with an alternative judgment of the city of Bath. With many Regency gardens and period architecture still extant in Oxford’s own environs, we will spend as much time as possible outdoors -- reconstructing both Austen’s real world and her imagined one. Park Honan, Jane Austen: Her Life (1989), or Claire Tomalin, Jane Austen: A Life (1999), or Jon Spence, Becoming Jane Austen (2007); and Deirdre Le Faye, editor, Jane Austen’s Letters (1997). Requirements & Grading: 3 written research reports (25% each). Participation and oral report, including field trips (25%). No final exam. Grades will be based on an A-F system, using pluses & minuses. The class will study all the surviving works of Jane Austen (6 published novels, juvenilia, and letters) in their historical context. The research emphasis will be on her 18th-century influences as well as Regency culture. Everyone will also read one major biography and one major critical book on Austen. Discussion will roam the three arenas in which Austen currently appears: 1) classroom, 2) academic research, and 3) pop culture. Description: This book-history course tracks the evolution of the modern paperback through author case studies. This survey will start with the so-called “yellowbacks” sold in Victorian railway stations in the 1870s and proceed through to today’s paperbacks as they compete with e-books. We shall linger on the marketing hotspots and explosions of cheap books in 1890s, 1940s, and 1960s. Book covers, the canvas upon which the bulk of book marketing occurs, will be a strong bibliographical focus. The class will make extensive use of the Wolff collection of Victorian binding styles in the HRC (one of the top such collections in the world). --John Carter and Nicolas Barker, ABC for Book Collectors. 8th edn (Delaware, 2004). Requirements & Grading: Participation, 15%; 3 essays and an annotated bibliography (2 short essays of 3-4 pp each, and one longer essay of 6-8 pp), 60%; In-class conference-style presentations, 25%. Designed for potential English majors who are already in the Honors I program, this course is directed toward developing and honing critical reading, writing, and research skills while also giving an overview of the critical “toolbox” available to students of literature in the field of English. We will focus on three major fictions written between 1700 and 1850 (by Defoe, Swift, and Bronte) that have not only inspired each other but generated clusters of later fictional rewritings by writers almost as famous (Coetzee, du Maurier, Ryss, and Perkins-Gilman). In our study of intertextuality, our reading will loosely track the development of the novel genre over several centuries as well as the compounding influence(s) of early writers upon later ones. We will also consider several key film “adaptations,” including Hitchcock’s Rebecca, since these, too, constitute critical and cultural interpretations of a sort. For each central work that we study, we will examine its formalist elements (there will be visits to the HRC to work with original editions), historical contexts, and the cultural contests it has inspired, particularly in the form of rewritings. Students will be introduced to research tools such as the OED, MLA Bibliography, and the DNB, as well as primary text databases such as ECCO, 19-C, and LION. Secondary criticism will feature a range of approaches, likely including Marxist, Feminist, Psychoanalytic, and Textual Studies. Texts: REQUIRED: Daniel Defoe, Robinson Crusoe, ed. Schinagel (Norton edition) – 1719; J. M. Coetzee, Foe (Penguin) – 1986; Jonathan Swift, Gulliver’s Travels, ed. Rivero (Norton) – 1726; Charlotte Bronte, Jane Eyre (Penguin) – 1847; Daphne du Maurier, Rebecca – 1938; Jean Ryss, Wide Sargasso Sea, ed. Raiskin (Norton) – 1993. ADDITIONAL: Film: Rebecca, directed by Alfred Hitchcock – 1940. Short story: Charlotte Perkins Gilman, “The Yellow Wallpaper” – 1892. Requirements & Grading: Three close-reading essays (3 pages each; 1 rewrite): 50%; One long essay (6 pages): 20%; Class presentation/written movie review (2 pages): 10%; Class presentation/annotated bibliography (5 items) 10%; Participation/quizzes: 10%. Description:This interdisciplinary single-author course is devoted to the six major novels of Jane Austen and also considers the manner in which Austen’s work has recently been refashioned into major motion pictures and popular BBC television series. While this class concerns literature, history, and film, the primary emphasis will be on the study of Austen in her historical context. Thus, the class will ask how Austen fits into the novel genre’s development and how her stories touch upon issues of gender, economics, art, and the law of her time. In order to augment our investigations into Austen’s original context, the class will include a few sessions in the HRC where we will look at original editions of the novels (including sister Cassandra Austen’s copy of Mansfield Park) and ask questions about the impact of her books’ original printed presentation. From our attempts to reconstruct Austen’s “original reader” we will then proceed into discussion of the recent re-workings of the novels for the screen, including “adaptations” such as Clueless, Bridget Jones’ Diary, and Bride & Prejudice, which recast Emma and Pride and Prejudice into a modern mold. 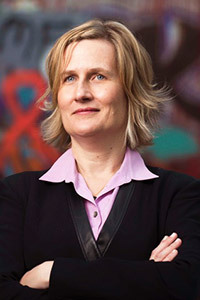 Born in The Hague, The Netherlands, Professor Barchas did her undergraduate work at Stanford University (1989) and holds a Ph.D. from the University of Chicago (1995). She joined UT in 2002 after teaching for five years in Auckland, New Zealand. Her research interests focus on eighteenth-century literature and culture and include the British novel, book history, textual studies, modernism, and early fiction by women. Her book Graphic Design, Print Culture, and the Eighteenth-Century Novel, published by Cambridge University Press, won the SHARP Book History Prize for 2003. In 2004 Pickering & Chatto published her edited volume of 18th-century British erotica for its ECBE Part II series. In 2005, Professor Barchas won UT’s Phi Beta Kappa Teaching Award. Non-work time is devoted to family, especially her daughter Madison, who is the proud owner of a cat named Black Paw. Grading: Three close-reading essays (3 pages each; 1 rewrite): 50%; One long essay (6 pages): 20%; Class presentation/written movie review (2 pages): 10%; Class presentation/annotated bibliography (5 items) 10%; Participation/quizzes: 10%. How does a book’s appearance affect its interpretation? This course considers not only the impact of editorial theory upon the life of a literary text but the manner in which the non-verbal, or paratextual, elements of a literary work (layout, punctuation, front matter, title page, illustration, footnotes, mise en page, etc.) impact literary study. This class provides students with a broad based understanding of the history of the book. In the process of examining many items at the HRC, it will expose students to the fundamental tenets and problematics of editorial theory, as these impact every aspect of literary studies – regardless of specialty in historical period or genre. Thus, this is not a class in a single historical period, rather it will range across book history from incunabula to Nabokov. Indeed the interests and particular research expertise of the students who take the class will, partly, determine the works and authors considered. The class will meet in the HRC and make extensive use of its collections during every session, in an effort to illustrated the editorial dilemmas under discussion through the examination of concrete examples. Final Article-Length Inquiry (15-20 double-spaced pages; 40%). Gerard Genette, Paratexts: Thresholds of Interpretation (CUP, 1997). John Carter, ABC for Book Collectors, 6th ed. [or later] (Oak Knoll Books, 1992). In addition, there is a course anthology that includes essays on editorial theory, textual studies, image and text, and bibliography. This class reads four novels by Jane Austen in the context of the real-world locations that served as settings for her stories and her life. We will read Sense and Sensibility (1811), Pride and Prejudice (1813), Persuasion (1818), and Northanger Abbey (1818) and visit country estates and towns featured in these fictions. Like the heroine of Pride and Prejudice, we will tour famous landscapes and extant eighteenth-century gardens, particularly those of Blenheim, West Wycombe, and Prior Park. In the century prior to the publication of Austen’s works, British landscape architecture had changed dramatically–as the manicured French-inspired symmetrical garden, with its clipped hedges, fountains, and mazes, gave way to the sweeping sheep-dotted vistas of Capability Brown. Austen’s novels comment on how these aesthetic alterations to the landscape reflect moral, religious, and political changes in British culture. Persuasion prominently features the city of Bath, where Austen and her family lived for many years. Our visit to locales in Bath will link place and characterization. We will also travel through the Hampshire countryside to the village of Chawton, where Austen’s former home is now a museum, and to Winchester Cathedral, where she lies buried. We will end the term with Northanger Abbey, which not only provides us with an alternative judgment of the city of Bath but offers a marvelous overview of how Classical sensibilities give way to (and compete with) the Romantic and the Gothic in Austen’s time. With many Regency gardens and period architecture still extant in Oxford’s own environs, we will spend as much time as possible outdoors—reconstructing both Austen’s real world and her imagined one. Sense and Sensibility, Ross Ballaster, ed. (Penguin, 2003); Pride and Prejudice, Vivien Jones, ed. (Penguin, 2003); Northanger Abbey, Marilyn Butler, ed. (Penguin, 2003); Persuasion, Gillian Beer, ed. (Penguin, 2003). 3 research reports of 2 pages each (20% each); 2 interpretive essays of 2 pages each (10 % each); Participation and attendance (20%). Aphra Behn, Oroonoko (Norton); Eliza Haywood, Love in Excess (Broadview Press); Daniel Defoe, Moll Flanders (Oxford Univ Press); Samuel Richardson, Pamela (OUP); Charlotte Lennox, Female Quixote (OUP or Norton); Frances Burney, Evelina (OUP); Jane Austen, Mansfield Park (Norton); Mary Shelley, Frankenstein (OUP). Original publication dates listed below; we are reading these novels in temporal sequence. Designed for potential English majors who are already in the Honors I program, this course is directed toward developing and honing critical reading, writing, and research skills while also giving an overview of the critical “toolbox” available to students of literature in the field of English. We will focus on three major fictions written between 1700 and 1850 (by Defoe, Swift, and Brontë) that have not only inspired each other but generated clusters of later fictional rewritings by writers almost as famous (Coetzee, du Maurier, Ryss, and Perkins-Gilman). In our study of intertextuality, our reading will loosely track the development of the novel genre over several centuries as well as the compounding influence(s) of early writers upon later ones. We will also consider several key film “adaptations,” including Hitchcock’s Rebecca, since these, too, constitute critical and cultural interpretations of a sort. For each central work that we study, we will examine its formalist elements (there will be visits to the HRC to work with original editions), historical contexts, and the cultural contests it has inspired, particularly in the form of rewritings. Students will be introduced to research tools such as the OED, MLA Bibliography, and the DNB, as well as primary text databases such as ECCO, 19-C, and LION. Secondary criticism will expose students to a wide range of approaches to these works trialed by others, likely including Marxist, Feminist, Psychoanalytic, and Textual Studies. Matters of Fact in Jane Austen: History, Location, and Celebrity (Johns Hopkins University Press 2012). Graphic Design, Print Culture, and the Eighteenth-Century Novel (Cambridge University Press, 2003). Reprinted: April 2004. Paperback: November 2008. Prize: SHARP Book History Prize. The Annotations in Lady Bradshaigh’s Copy of Clarissa, with the editorial collaboration of Gordon Fulton, ELS Monograph Series, No. 76 (Victoria, 1998). 144 pgs. Volume 1 (1700-1735) of Eighteenth-Century British Erotica Set II, 5 vols., gen. eds. Alexander Pettit and Patrick Spedding (Pickering & Chatto, 2004). 523 pgs. “Curating Will & Jane,” co-authored with Kristina Straub, Eighteenth-Century Life 40.2 (April 2016): 1-35. “Setting and Community,” in The Cambridge Companion to Emma, ed. Peter Sabor (Cambridge: Cambridge UP, August 2015), 120-134. “How Celebrity Name-Dropping Leads to Another Model for Pemberley,” Persuasions 35 (2013): 75-94. “Sense, Sensibility, and Soap: An Unexpected Case Study for Digital Resources in Book History,” Book History 16 (2013): 185-214. “A Big Name: Jane Austen and the Wentworths,” in Wentworth Castle and Georgian Political Gardening, ed. Patrick Eyres (Wentworth Castle Heritage Trust, Yorkshire, Aug. 2012), 161-175. “The Real Bluebeard of Bath: A Historical Model for Northanger Abbey,” Persuasions 32 (2010): 115-134. “Artistic Names in Austen’s Fiction: Cameo Appearances by Prominent Painters,” Persuasions 31 (2009): 145-162. “Hell-Fire Jane: Austen and the Dashwoods of West Wycombe,” Eighteenth-Century Life 33.3 (Fall 2009): 1-36. Reprinted as “Dashwood Celebrity” in Sensibilities (Feb 2011), journal of the Jane Austen Society of Australia. “Mrs. Gaskell’s North and South: Austen’s Early Legacy,” Persuasions 30 (2008): 53-66. “Very Austen: Accounting for the Language of Emma,” Nineteenth-Century Literature 62.3 (Dec 2007): 303-338. “What Jane Saw” (www.whatjanesaw.org) offers a room-by-room reconstruction of two Georgian blockbusters witnessed by Jane Austen: the retrospective of Sir Joshua Reynolds in 1813 (launched on 24 May 2013) and Boydell’s famous Shakespeare Gallery as it looked in 1796 (added on 16 Dec 2015). I am the Principal Investigator, supported by UT’s Liberal Arts Instructional Technology Services (LAITS). For sample press coverage, see New York Times, “Seeing Art Through Austen’s Eyes,” 25 May 2013, C1, and NYT “A 1796 Shakespeare Exhibition Has Become Virtual Reality,” 17 Dec 2016, C3. In its first year alone, WJS welcomed 100K unique users. 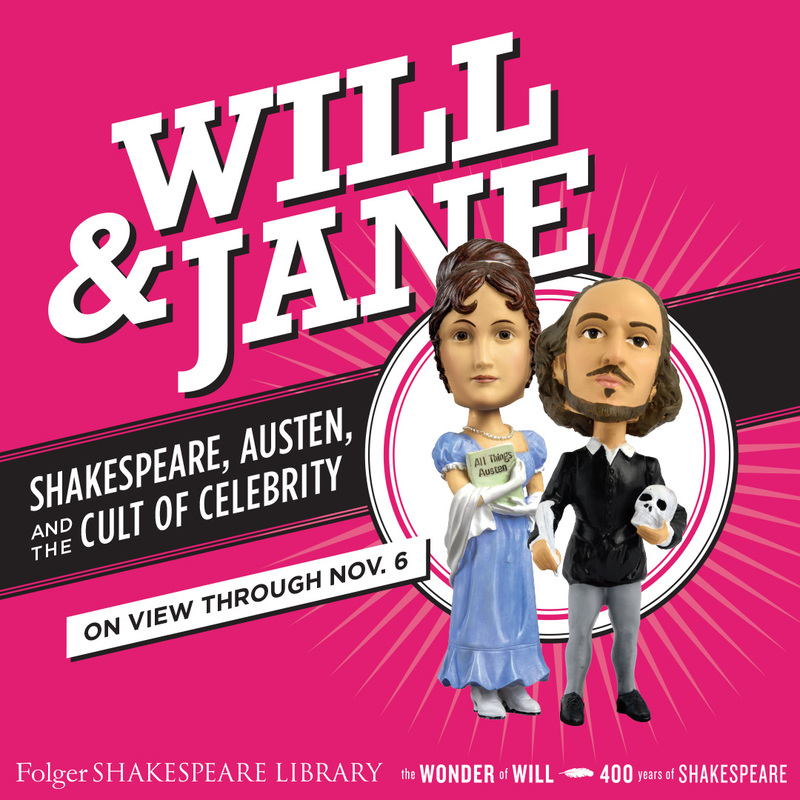 “Will & Jane: Shakespeare, Austen, and the Cult of Celebrity” at Folger Shakespeare Library (6 Aug–6 Nov 2016). Co-curated with Kristina Straub. “Boydell’s Vision: the Shakespeare Gallery in the 18th Century,” Compton Verney Art Gallery, Warwickshire (19 March – 19 June, 2016). I provided a digital projection and explanatory labels for one gallery room. “This is Himmler’s Copy of Hitler’s Mein Kampf: how the book with an evil past made its way to Texas,” TIME.com (3 June 2015) http://time.com/3906954/himmlers-copy-of-hitlers-mein-kampf/ This was a repost of Harry Ransom Research Center Blog of 5 May 2015 (see below under Guest Posts). “Object Lesson,” in The Pocket Instructor: Literature, eds. Diana Fuss and William Gleason (Princeton: Princeton UP, Oct. 2015), 321-25. “The Antipodean Pleasures of Teaching Clarissa in ‘Real Time,’” in Approaches to Teaching Samuel Richardson, part of MLA Approaches to Teaching Series, eds. Lisa Zunshine and Jocelyn Harris (MLA, 2006), 120-27. “Collecting Will and Jane” co-authored with Kristina Straub, Folger Shakespeare Library Blog (26 Aug 2016). “From Hero to Lady Susan: Kate Beckinsale in Love & Friendship,” co-authored with Kristina Straub, Folger Shakespeare Library Blog (10 July 2016). “Tastes of Home in Emma,” Jane Austen Society Nederland (17 Aug 2015). “Muddy Bootprints on Himmler’s Copy of Hitler’s Mein Kampf,” Harry Ransom Research Center Blog (5 May 2015). Reposted by TIME.com (3 June 2015). “Reading Jane Austen with Vladimir Nabokov,” JHU Press Blog (3 Oct 2014). “G. I. Jane: Austen Goes to War,” JHU Press Blog (23 April 2014). “The Lost Books of Austen Studies,” English-Language Plenary, Canadian Society for Eighteenth-Century Studies, Vancouver. 17 October 2015. “What Jane Saw in 1796 and 1813,” annual gala of Jane Austen Society of North America (JASNA)’s Chicago Region, Chicago. 2 May 2015. “Naming Names in Pride and Prejudice,” North American Scholar Lecture, at AGM of JASNA, Minneapolis. 28 September 2013. “What Jane Saw,” the Elizabeth Harden Plenary Lecture, at the bicentennial celebrations of Pride and Prejudice, CELIA, Wright State University, Dayton, Ohio. 11 October 2013. “Jane Austen in the Bookshop, Train Station, and Schoolroom,” Waterstone’s Bookstore, Amsterdam. 25 July 2017. “Jane Austen’s Shakespeare,” Compton Verney Art Gallery, Warwickshire. 20 May 2016. “Digitizing the Ephemeral: Shakespeare, Austen and the Visualization of Museum Exhibitions," Center for Arts in Society, Carnegie Mellon University. 1 Oct 2015. “Will & Jane, a preview talk” co-presented with Kristina Straub, at “Actresses as Authors Conference,” Chawton House Library. 10 July 2015. “Did Jane Austen Really Look for Mrs. Darcy at a Museum Exhibition?” A. K. Smith Visiting Scholar Lecture, Trinity College, Hartford, CT. 9 April 2015. “Will & Jane, at 400 and 200” co-presented with Kristina Straub, in panel on “Public Jane Austen in Austin” at Modern Language Association (MLA), Austin. 9 Jan 2016. “What Did Jane Austen See at the Shakespeare Gallery in 1796?” in panel on “Visual Display of Literary Information” at MLA, Austin. 9 Jan 2016. “Reading Mansfield Park with Nabokov,” breakout speaker, JASNA, Montreal. Oct 2014. “Counterfeit Authority: Frontispieces of Fictional Authors and Authors of Fiction,” conference on Alexander Pope at Yale Center for British Art. 22 Feb 2014.